Chapter Two of John Eibner, ed., The Future of Religious Minorities in the Middle East, (Lanham, MD: Rowman & Littlefield, 2018), pp. 13-20. For details about the book, click here. To order it from Amazon.com, click here. This is an edited and updated transcript of a talk delivered by Middle East Forum President Daniel Pipes for Christian Solidarity International in Zurich, Switzerland, on March 7, 2012. To view other lectures in this series, click here. Muslims were relatively tolerant of Christians over the centuries, but only if they accepted inferior dhimmi status. Muslim viewed non-Muslim in two categories: monotheists recognized by Islam as adhering to a valid faith (this being mostly Jews and Christians) and polytheists (especially Hindus) lacking that recognition. The former category, our topic here, are known as People of the Book (Ahl al-Kitab). The recognized place granted to religious minorities made Muslim-ruled countries quite unlike premodern Christendom. Christians under Muslim rule enjoyed better conditions than Muslims under Christian rule; in 1200 or so, one would much rather be a Christian living in Muslim Spain than a Muslim living in Christian Spain. No modern citizen would accept the disabilities that accompanied living as a dhimmi. 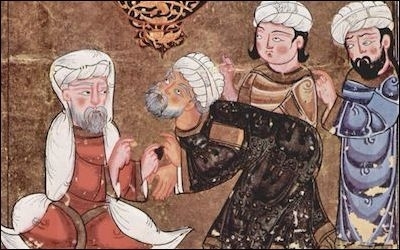 Likewise for Jews: Mark R. Cohen observes that "the Jews of Islam, especially during the formative and classical centuries (up to the thirteenth century), experienced much less persecution than did the Jews of Christendom." 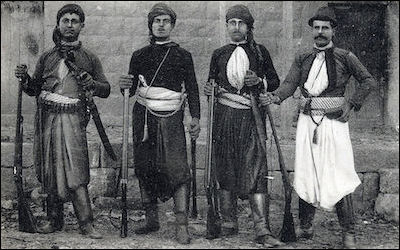 A French postcard showing Maronite militiamen in Lebanon, circa 1860. When European rule ended, second-class dhimmi status became third- or fourth-class post-dhimmi status. As the expression goes, "First the Saturday people, then the Sunday people." And now is the Christian turn. Christians are now recapitulating the Jewish exodus. From 1500 to 1900, Christians made up a consistent 15 percent of the Middle East's population, according to David B. Barrett and Todd M. Johnson. In 1910, that number had dipped to 13.6 percent, according to Todd M. Johnson and Gina A. Zurlo; and in 2010, Christians had been reduced to a meager 4.2 percent, or less than a third as large as a century earlier. The downward trend, of course, is steeply continuing. 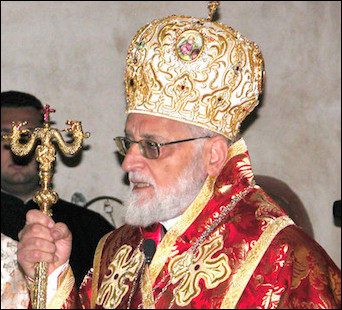 There are more Arab Christians living outside the Middle East than inside. Gregory's approach amounts to: Muslims, please do not hurt us; we will say anything that you wish. We have no identity of our own. We are, in fact, a kind of Muslim. It's full-dhimmi supplication for the post-dhimmi era. In 1926, they uniquely induced an imperial power, France, to create a state, Lebanon, for them. 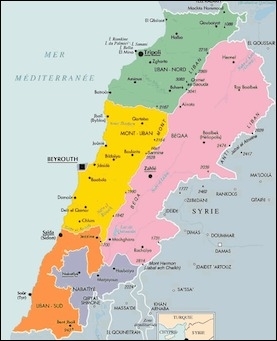 But the Maronites were greedy: rather than accept a "Petit Liban" where they and other Christians made up 80 percent of the population, they demanded and won a "Grand Liban" where Christians made up around 55 percent of the population. Fifty years later, in 1976, the Maronites paid the price for this over-reach when the Muslims mounted a 15-year civil war which broke Maronite power. 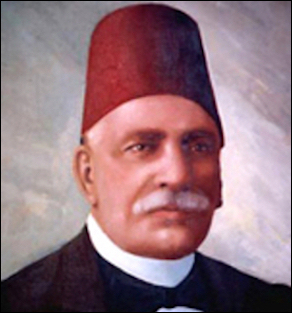 Since the Islamic conquest of Egypt nearly fourteen centuries ago, Egypt's Copts pursued a path nearly opposite that of Maronites. 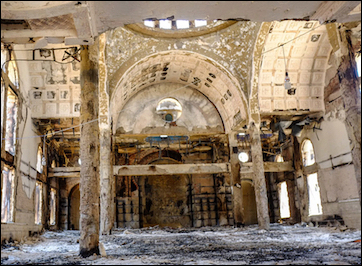 Their geography (flat), history (strong central government), and society (interspersed among Muslims), were all unfavorable to independent power, forcing Copts to bow their heads. Fully accepting the dhimmi status, Copts survived and withstood Islamization more successfully than most other Middle Eastern Christians, as their relatively large numbers attest. The attractive multiplicity of Middle Eastern life is being reduced to the flat monotony of a single religion.